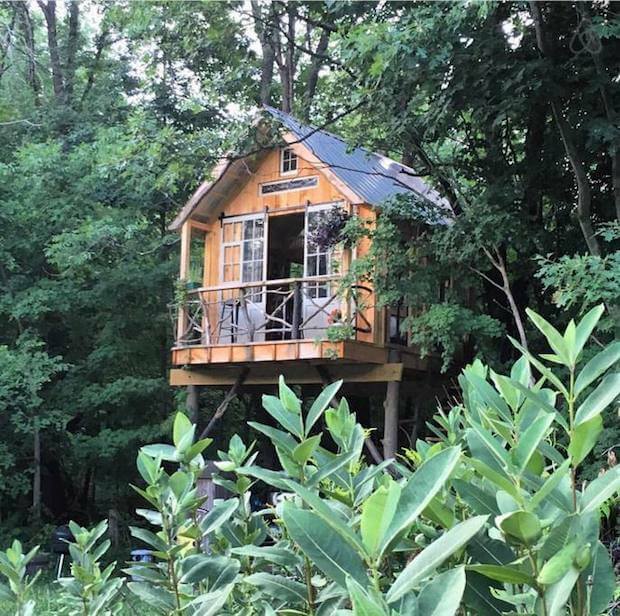 A cozy, rustic treehouse, tucked under a canopy of trees, it has glass doors and many windows that provide picture-perfect views of the forest landscape. 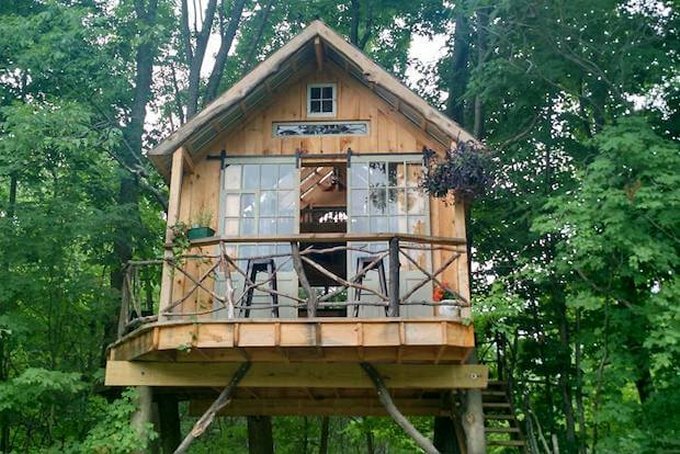 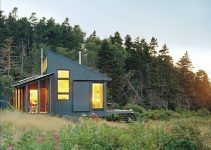 This beautiful tiny tree house is located in Argyle, New York. 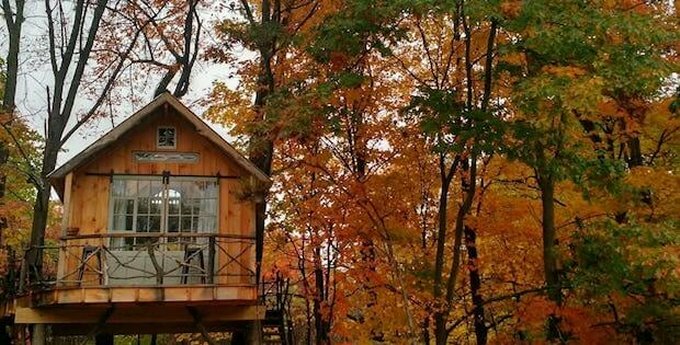 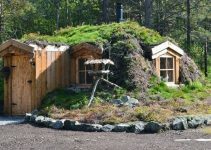 It is called the Whispering Wind Treehouse.